Is a program right for you? 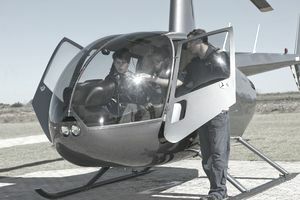 A common question asked by prospective pilots is whether or not they should invest a lot of money to obtain an aviation-related degree from a top university flight school, or spend less for flight training obtained at a local flight school. Aviation universities are a popular option for people who want to fly and also want a four-year degree. While it might make sense to kill two birds with one stone, a degree in aviation limits you to strictly an aviation-related career. On the other hand, obtaining an MBA while flying at the local airport might be the less expensive and more versatile option. When weighing the pros and cons of attending an aviation university, keep in mind there are many ways to become an airline pilot. Top-Notch Instruction: Aviation universities hire only the most qualified professors and instructors. These instructors are aviation experts and are usually retired airline pilots, aviation mechanics and acknowledged experts who have made aviation their specialty. Strict Standards: Accredited universities have very high standards that they are required to meet or exceed. In addition to the FAA’s standards for flight instruction, these schools have to meet their accreditation guidelines. State of the Art Equipment: The best airplanes and simulators are used at universities including airplanes that are probably brand new, with the latest onboard technologies, like GPS and ADS-B installed. Planes and simulators are also well maintained with frequent inspections. Like-Minded Peers: One of the major benefits to a university flight program is that you are completely immersed in aviation. You will likely have roommates that understand flying and make for good studying partners that you can learn from and collaborate with. Studying for check rides is much easier when you have a batch of people to brainstorm with. Networking: The aviation industry is a relatively small one, and attending an aviation university will help you make contacts in the field. Professors, flight instructors, and peers are immersed in aviation and many following career paths to the airlines. These people can be valuable connections when it comes time to find a job. Internships: The coveted airline internship is competitive and difficult to get, but becomes more attainable if you’re attending an aviation university. Airline representatives like to scope out aviation universities for intern candidates and usually offer interviews on campus for internships This is an opportunity you’d miss if you didn't attend an aviation university. Cost: By far, the biggest negative of attending an aviation university is the steep cost. Tuition can range from $30,000 to $130,000 per year, and this doesn't always include the cost of flying. Aircraft rental and instruction at a school like Embry-Riddle Aeronautical University or Purdue University can be too expensive for many people. Many students come out of aviation universities being over $100,000 in debt and will probably fly for a regional airline for less than $27,000 per year. No Back-Up Plan: While it’s a good thing to have goals and want to work toward them, it’s also a good thing to have a Plan B. Getting a degree in flight will only help you if you ultimately become a pilot. Not only is it a tough industry as far as available positions, but you must consider what happens if you become disqualified or un-hirable at some point. This can happen if you are denied an aviation medical certificate, are charged with a felony or misdemeanor or fail too many check rides. For these reasons, many people recommend spending your time and money on a more versatile degree, like business management, before venturing into aviation. Less Flexible Schedule: Universities are getting better at accommodating non-traditional students, but the majority of aviation university students are still required to attend classes in person, during regular business hours. It’s not as flexible as flying at your local airport where you make your own schedule. At a university flight department, your schedule is put together by a scheduling department, and you may incur fees if you can’t make it to a flight. Strict Flying Rules: The university flight department, and its insurance company, mandate the rules for flying, and they veer toward extreme cautious. Instructors and management pilots are meticulous about details, which makes for a safe environment with no room for error. There are standards and procedures for everything, which can take some of the fun out of flying. The decision to attend an aviation university is a big one. Aviation universities can be very beneficial when it comes to learning, networking, and ultimately getting a job as a pilot. But they’re costly, and many people recommend a backup plan in case you’re grounded in the future. If you have the financial resources and/or can get a scholarship for a university, it becomes a more viable, and good, option to consider.